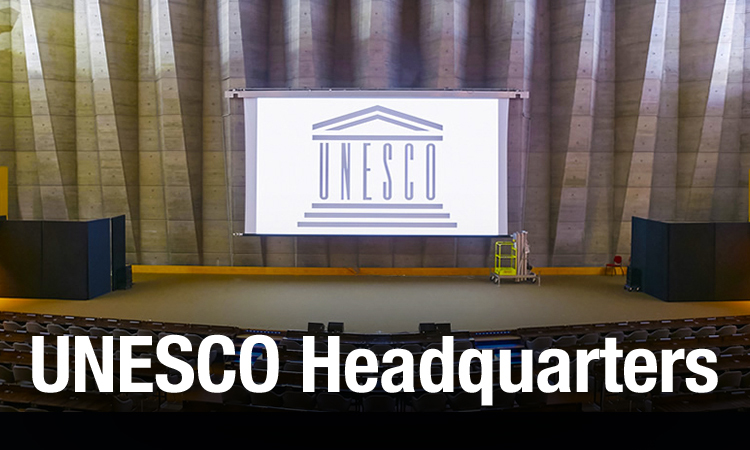 The UNESCO Paris Headquarters incorporated the latest AV systems into their largest conference room at the moment of UNESCO's 70th anniversary. 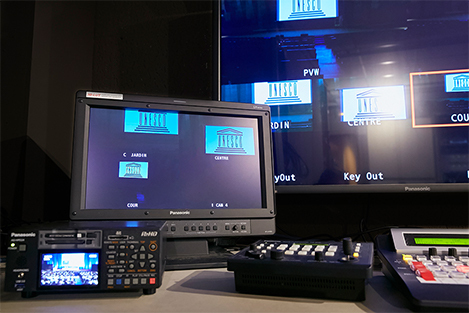 Panasonic provided a comprehensive AV solution, including a projector, a multi-purpose camera, a multi-format live switcher, a remote camera controller and a memory card portable recorder. High brightness and high picture quality ensure bright and vibrant, large-screen projection. A complete selection of Panasonic’s audio visual products contributes to a comprehensive AV solution. 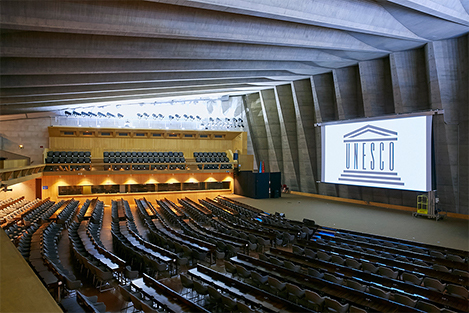 In January 2016, Panasonic installed an integrated AV solution at the UNESCO Headquarters in Paris, France. 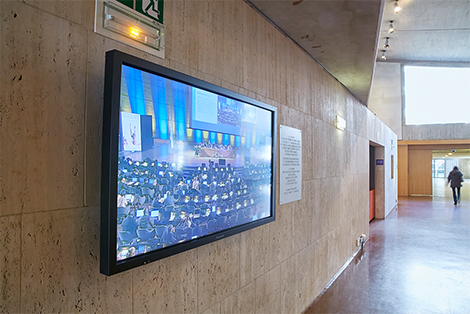 The installation transformed the audio-visual infrastructure in Room 1, the largest conference room at UNESCO Headquarters and was implemented to commemorate UNESCO's 70th anniversary. 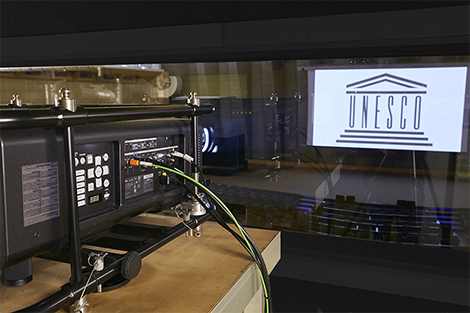 The main on-stage projection within the room uses the PT-DZ21K, Panasonic's flagship projector. It offers breathtakingly beautiful images, has easy maintenance and reliable operation. Featuring 20,000 lumens and a host of rich creative capabilities, the projector is well suited to meet the needs and requirements of the conference room. The PT-DZ21K’s high brightness and high picture quality ensure bright and vibrant, large-screen projection. 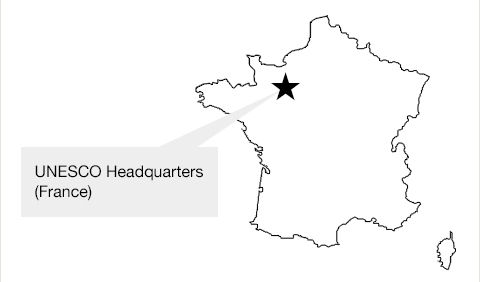 The conference room has also been fitted with Panasonic's AK-HC1800 multi-purpose camera, which is successfully used to record international events and performances at the Headquarters. The camera has an intelligent function that significantly reduces the need for adjustment during remote video acquisition, making it ideal for conference spaces. 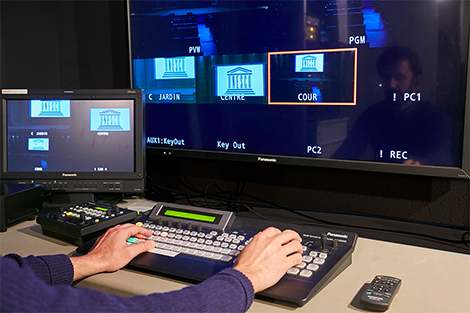 This is combined with an easy to use multi-format live switcher (AV-HS450), a remote camera controller (AW-RP50) and memory card portable recorder (AG-HPD24), so that one AV technician is able to control the capture and broadcast of events within the conference space. a memory card portable recorder and network LCD displays (TH-50LFC70). The images captured by Panasonic’s multi-purpose camera are also displayed on the TH-65LFB70 display outside the conference room. TIn June 2011, Panasonic and UNESCO World Heritage Centre agreed a strategic partnership, to promote sustainable development through World Heritage conservation and environmental education for the next generation. Through this partnership, Panasonic promotes joint programs in the fields of “education for the next generation”, “communication”, and “technological support”. In support of the commitment to “education for the next generation”, Panasonic hosted the World Heritage Eco Learning Program. This program, a collaboration between Panasonic, the UNESCO World Heritage Centre and selected World Heritage sites, offered children the opportunity to visit world heritage sites around the world and learn about UNESCO's work. Since 2008, approximately 4,500 children from 16 countries at 23 sites have taken part in this program. In addition, Panasonic held the Eco Diary Picture Contest, where children introduced their own unique global environment conservation in the form of a picture diary. 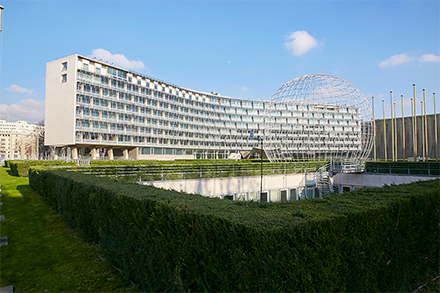 The global contest award ceremony has been held twice at UNESCO Headquarters. Since 2008, approximately 970,000 children from 51 countries participated in the contest. In the field of “communication”, Panasonic worked in partnership with the National Geographic Channel to present a World Heritage-focused television program called 'THE WORLD HERITAGE SPECIAL'. The program was broadcasted in 193 countries around the world. 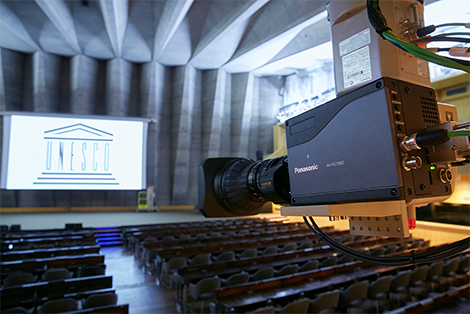 Finally, in the field of “technological support”, Panasonic supplied its audio visual systems, such as its High Definition Video Communication system, and other AV equipment to UNESCO Headquarters. In addition, Panasonic established a project to replace incandescent light bulbs with energy-saving LED lights at World Heritage sites worldwide. World Heritage sites which now use LED lights include Kiyomizu Temple in Kyoto, Japan and the Hradcani Castle in Prague, Czech Republic. Panasonic and the UNESCO World Heritage Centre will continue the collaboration to publish the World Heritage Calendar, which dates back to 1995. The calendar is available in a printed version and on the World Heritage Calendar application for computers, smartphones and tablets. The application has also been distributed to UNESCO associated schools worldwide as an educational tool. Through the World Heritage Calendar, Panasonic and UNESCO will continue to contribute to the understanding of conservation of World Heritage sites as well as to the education of the next generation.